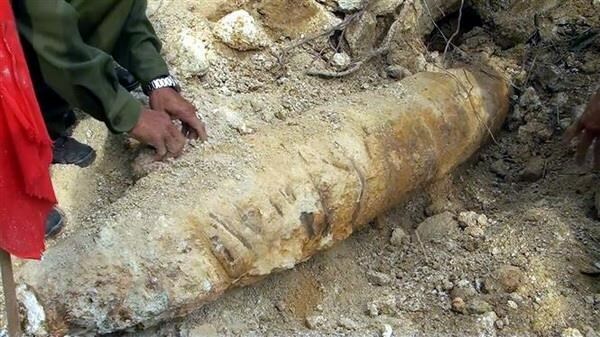 Quang Ninh (VNA) – The military in the northern province of Quang Ninh on April 2 safely removed a big bomb from a residential area in Uong Bi town. The 230kg bomb was found at 9am that day by an excavator driver who was removing soil to build a dyke in Quang Trung ward, Uong Bi town. Receiving alert from the worker, the military sealed up the area and move all people in the neighbourhood to ensure safety. As of 1:30 pm the same day, sappers successfully moved the bomb to a safe site for destruction.